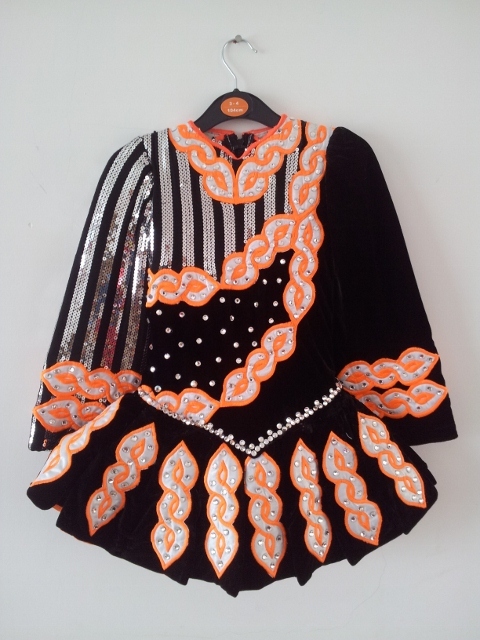 This beautiful Chantelle dress has great stage presence and sparkles on stage. 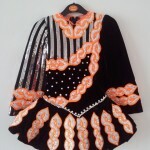 Made for the 2011 All Irelands. 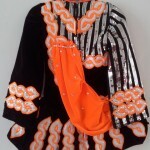 The dress is a black velvet bodice and pleated dropped skirt with black and silver sequined striped sleave that continues into the bodice. 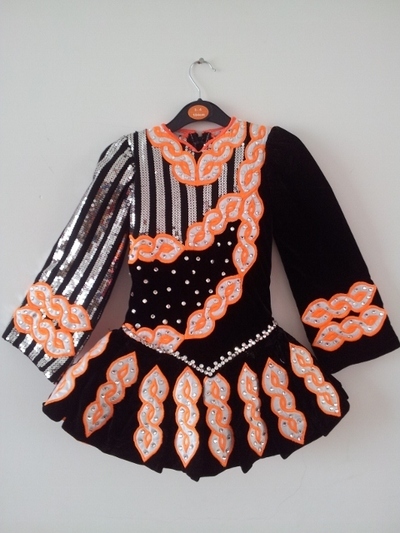 It has a white and luminous orange celtic design and is covered in over 400 swarvoski crystals. 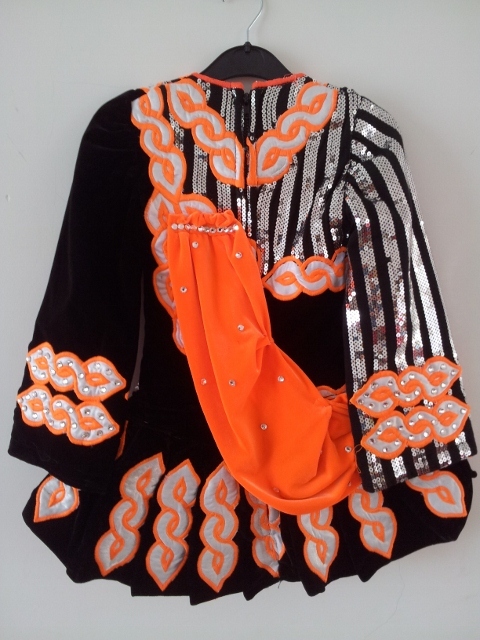 The sash, kickpants and underskirt are also in bright orange. Black and silver headband included. Priced to sell.